My yarn order arrived and I’ve handdyed 600gms and cast on a toe up sock. 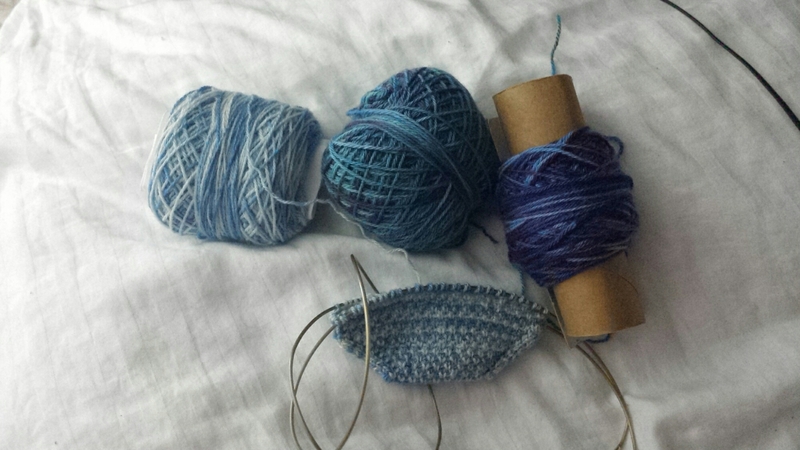 I’m making up my own knitting pattern as I go. 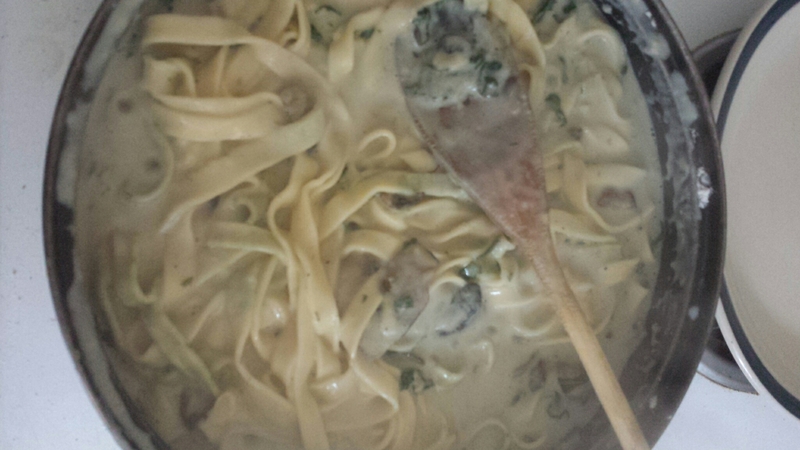 I’ve been trying to “up” my mum-game by doing more cooking from scratch. 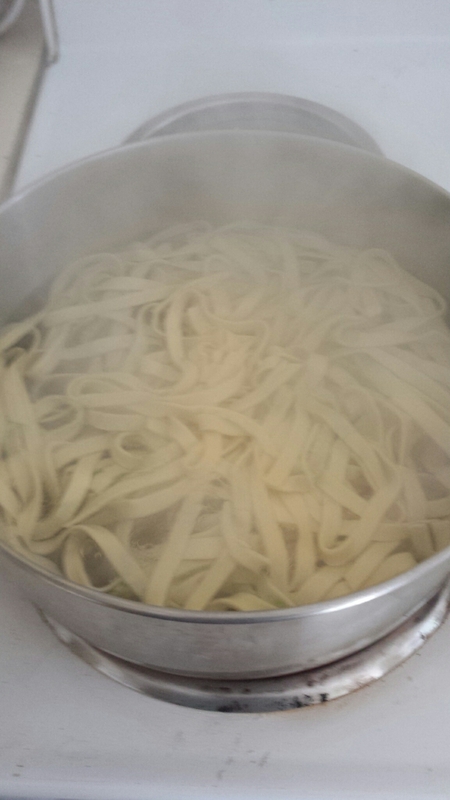 So today I’m tackling pasta, which isn’t new to me, but I haven’t done it in a year and a half, and fresh pasta is just so yummy! 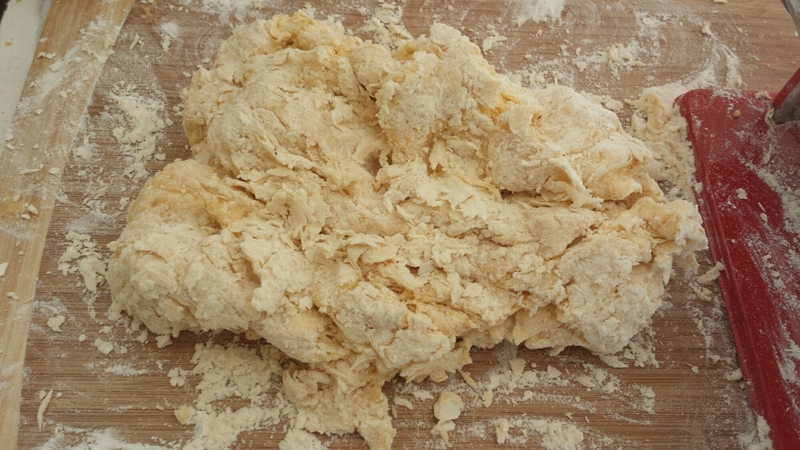 Tacky pasta dough needing a lot more kneading. 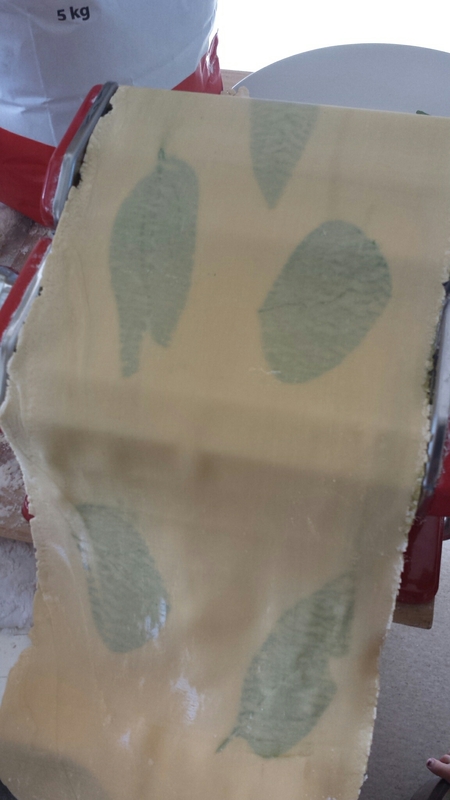 Silky sheet of pasta with basil leaves place between two layers and then rolled out. 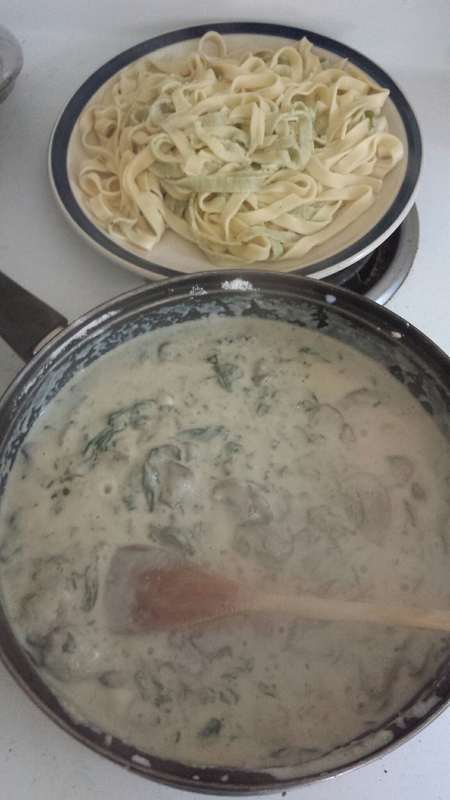 Cooked pasta and my creamy mushroom and spinach sauce made from scratch! Emmaly and I demolished our dinner in record time. I recently received a desk chair from a fellow Freecycle.org user and upon seeing it, just KNEW that it had to have a new life if it was going to live in my house. It was a ghastly browny/yellow colour made out of some seriously durable hessian type fabric that wasn’t pleasant to look at or see, and so I set to it and gave it new life! I ransacked my stash of fabric (which is i m m e n s e) and chose some beautiful purple and green silk (unfortunately while this looked pretty it was a bad choice as after three months of use, the fabric has split and is tearing). I then found some sturdy black fabric to go on as a base, and prepared the chair. If I was to do this chair again (which I probably should do!) I would spray paint the metallic parts while I had the base off and before I put it back together again. I’ve been drafting up a storm after discovering the pattern books and pattern drafting books at the library lately. 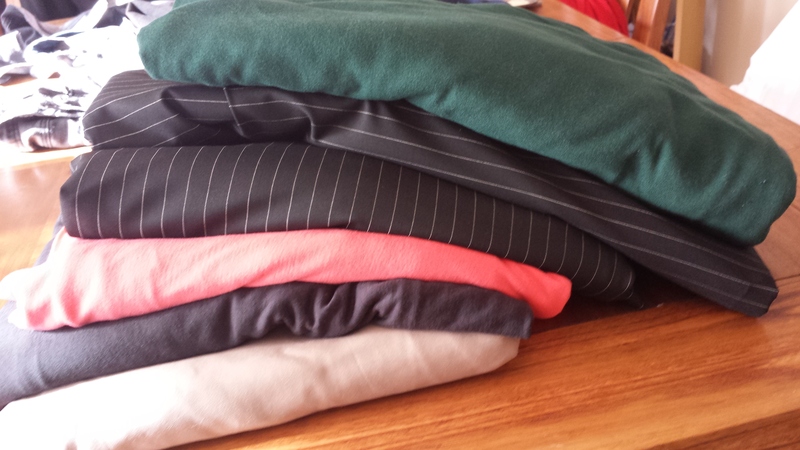 So far I’ve sewn two pairs of shorts and four (pairs of) underwear for myself and a pair of tights for my daughter and four pairs of tights to sell. 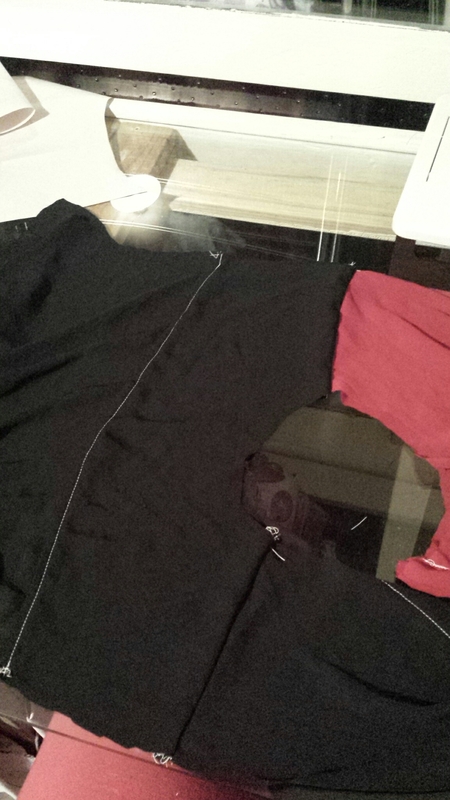 I’m currently working on a dress shirt for myself. This is the first yoke I’ve ever sewn and I’m pretty excited about it. I’m using chiffon in red and black, and I’ve altered the pattern so that the buttons run up the right hand side instead of the middle. I’m not sure what it will look like on, but I’m ecstatic that the cut pattern pieces match and especially that the sleeve matched the armhole! 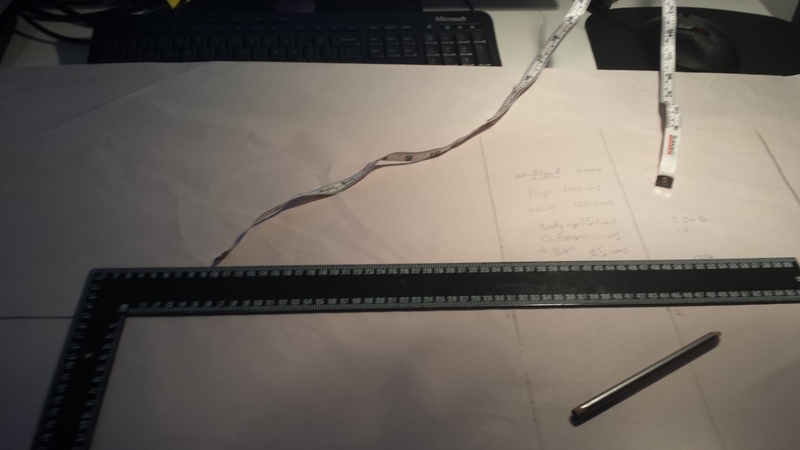 The main reason for my excitement is that I had to add 15cms to the width of the pattern as well as adjusting the sleeves O.O. Anyway! 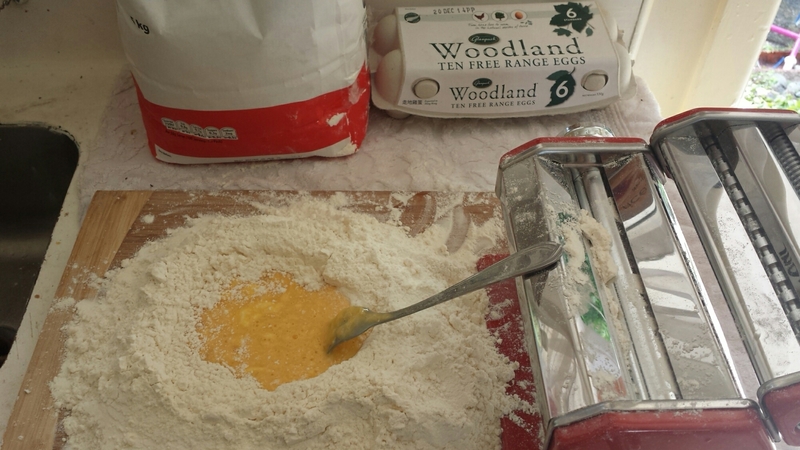 What’s on your creative agenda? 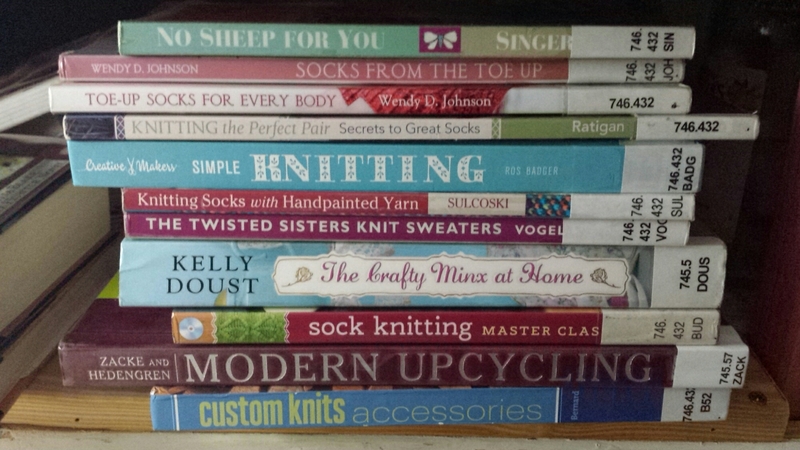 I’ve been stirring up my creative inner workings by devouring craft-related books from the library. I’ve also discovered that Japanese pattern book designers are BRILLIANT. I do wish that the sizing was a lot larger, but it’s a great basis for my own pattern drafting. I’ve never worked with modelling clay before but I found some cheap stuff at the $2 Shop (Craft Workshop Make and Bake Modelling Material) so I thought I’d give it a go. Based on this design by Dragons and Beasties on DeviantART because when learning to use a new material / medium, I find copying the design easier than making my own. 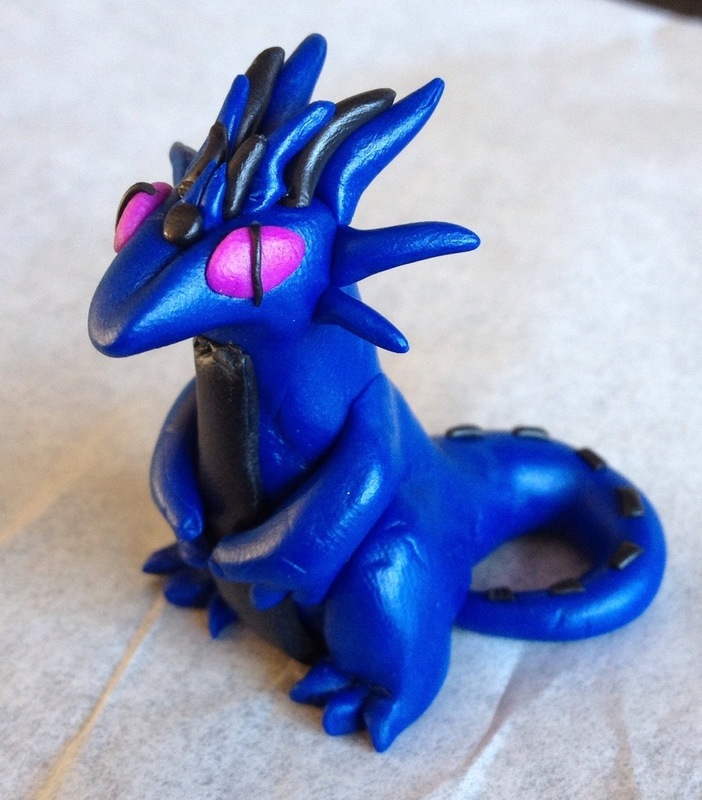 And these little dragons are adorable! I have some micro D&D dice, so this little fella (provided he survives the baking process) will keep my D20 safe! I should have had my finger in there for scale. This dude is small haha.